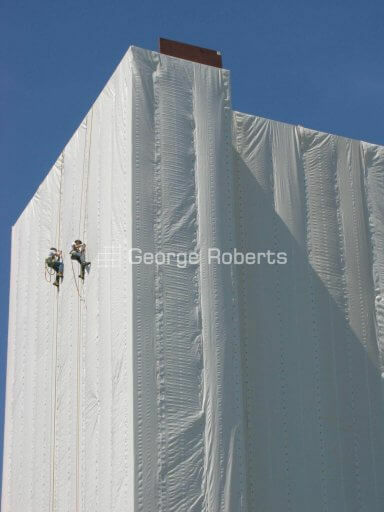 Our Scaffband Flamesafe sheeting is an excellent economy fire retardant scaffold sheeting recommended for use in low rise, shorter term projects that are not exposed to high wind risk. Enhances the security of the workers on the scaffold and serves as a climate shield to protect workers, machinery and open constructions against rain, wind, snow, etc. 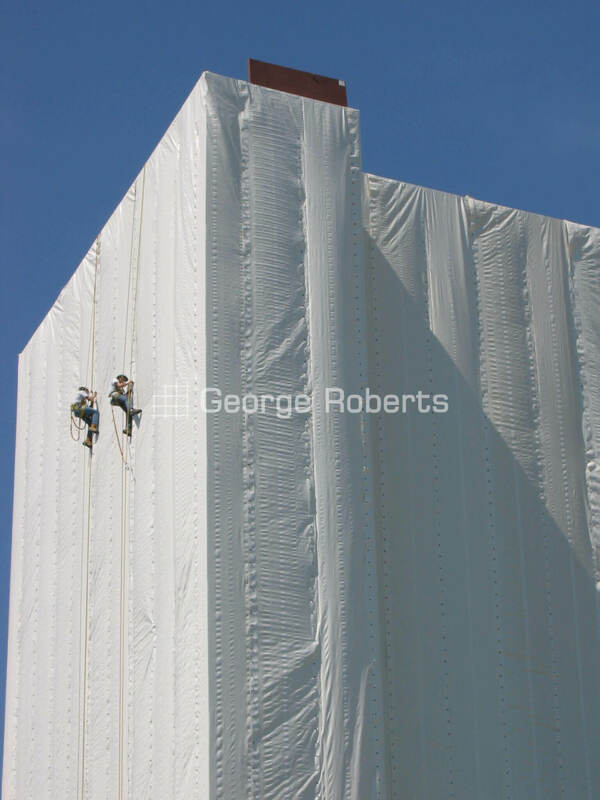 Supplied in 2.0 x 45m, 2.25 x 40m and 3 x 45m long rolls. Made from a 3 ply composition with the two outer layers being made from a weather resistant LDPE with flame retarder additives that encapsulates a strong multifilament polyester (PET) grid which forms the weather protection. On top of the sheet there are fixing bands of super high strength weave with a double coating over the bands to provide high durability.